In 2019, Vietnamese stocks may receive some knock-on effects from the highly volatile global stock market. However, the country’s fundamentals remain attractive to investors, and various sectors are nevertheless poised for good growth. Huy Pham, finance lecturer from the School of Business and Management at RMIT Vietnam, writes about the prospects of Vietnamese equities for the year ahead. Several events could occur on a global scale that can potentially affect Vietnam over the next year. In general, the global stock market is going to face a whole new level of uncertainty and there is an extremely high possibility that the bear market, which started in the second half of 2018, will continue into 2019. Since 1996, whenever the S&P500 Index in the US reached an all-time high at least twice in a single year it went into a bear market the following year, marking 2000’s dotcom bubble burst and the global financial crisis in the 2007-2008 period. We are seeing the same patterns this year. The causes of the market downturn are from various sources including political and economic activities. The first and foremost concern are the trade tensions between the US and China. Although the effects of the dispute had been anticipated by the markets via their massive downturn in the first half of 2018 and the planned tariff was postponed in early December, the outcome remains uncertain. Any unfavourable development in this trade war will have a huge adverse impact on stock markets, especially in China. Second, the US Federal Reserve (Fed) is likely to extend its hawkish tone in 2019. 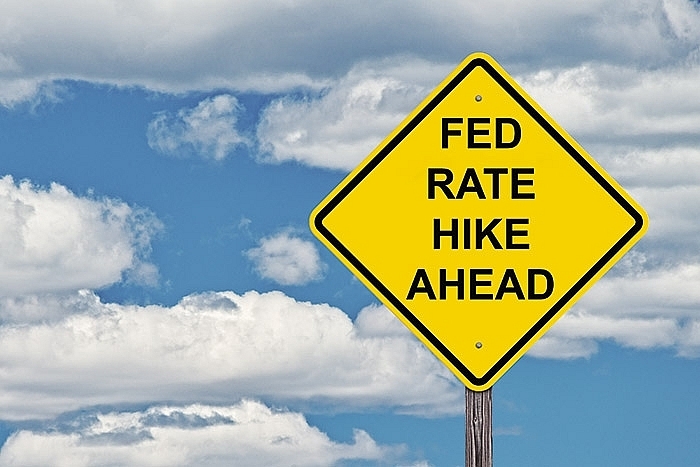 Given the positive signals from the economy, the Fed continued its rate hike in 2018 and the stock market has, however, reacted negatively to recent decisions from the US central bank. The Fed has also signalled that it will continue to raise interest rates in 2019 and that will put a lot of pressure on the stock market. Next, we may experience what is called the “reverse presidential election cycle”. Typically, the stock market tends to perform badly in the first two years after a US presidential election and rally in the next two years of a term. However, the US stock market is feeling this reverse phenomenon now, where the stock market is facing a high possibility of a downturn after growing strong in the first two years under President Trump’s administration. Another major difficulty is a so-called “hard” Brexit dampening the mood of investors worldwide. It appears that a hard Brexit is likely to take place as no deal has yet been agreed between the United Kingdom and the European Union and the departure date approaching at the end of March. The UK leaving the EU with a tough deal, or no deal at all, will affect stock markets negatively in the short- to medium-term or until further agreements are made between the UK and their trade partners. The FTSE100 Index has been falling from its all-time high during the last few months and this event will likely worsen the situation. The fifth factor potentially affecting Vietnam involves the European Central Bank (ECB) planning to halt its quantitative easing programme, which began in 2015. The ECB is going to stop quantitative easing at the end of 2018 and keep the interest rate unchanged until the following summer. These decisions seem unfavourable to the markets as indexes such as the CAC40, DAX and EURONEXT100 have all been declining in the second half of 2018. Another factor which could also contribute to this decreasing trend is the tensions between EU members and the EU institution itself. In this global context of volatility, it is crucial to forecast how the Vietnamese stock market will fare and whether it will remain immune from international tensions. First of all, Vietnam has been increasing its integration into the global market with different trade agreements, both finalised and in progress, such as the Comprehensive and Progressive Agreement for Trans-Pacific Partnership, the EU–Vietnam Free Trade Agreement, and many others. Along with the benefits to exporting companies and suchlike, it also brings more competition to Vietnamese companies and subsequently, Vietnam’s stock market becomes even more vulnerable to global market activities. After taking a simple look at the market gauge VN-Index and other indexes, we can see that Vietnam’s stock market tends to experience very similar trends to those of the US and the UK in 2018, as in, the market reached an all-time high earlier in the year and started declining in the second half of 2018. With this in mind, given the gloomy outlook, Vietnam’s stock market is expected to face a tough year ahead. However, it is not all bad news. The revised Securities Law 2019 is expected to draw more foreign investors into the country and support Vietnam’s stock market to be upgraded to emerging market status by the MSCI. If this status is achieved, it would boost confidence of financiers and lift the stock market. All in all, Vietnam’s capital market remains very attractive to foreign investors due to several fundamental reasons. First, Vietnam is expected to maintain strong economic growth. Second, political stability has always been an advantage for the country. Third, regulators are making great efforts to create a more transparent market for overseas investors. In addition, Vietnam’s economy will likely benefit from the US–China trade dispute as many multinational companies plan to move, or have already moved, production away from China to other countries in the region, including Vietnam. If the trade war continues, I expect to see a significant increase in both foreign direct and indirect investments to Vietnam in the coming year. In 2019, there are a number of great investment opportunities in the country for foreign investors. The manufacturing industry is the most attractive industry in 2019, due to an increase in both domestic and overseas demand, especially the shift away from China. Real estate remains an interesting investment option for overseas funders, especially those from nearby Asian member states. According to CBRE, 31 per cent of homebuyers in Ho Chi Minh City in the first nine months of 2018 are Chinese, followed by South Korean (19 per cent) and from Hong Kong (10 per cent). With the current market conditions, I expect this trend to continue in 2019. In addition, apart from listed stocks, the financial technology industry also presents opportunities for investors from elsewhere, since it is growing exponentially in Vietnam. These backers, however, should be aware that the industry is not yet fully supported by regulators and banks.